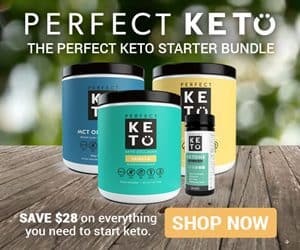 Looking for a quick and easy low carb keto ice cream recipe? Well, this recipe will have you enjoying ice cream in under five minutes. Do you know those ice cream freezer bag recipes that are floating all over social media? The ones where they tell you to pour all your ingredients into a large freezer bag and shake, shake, shake. 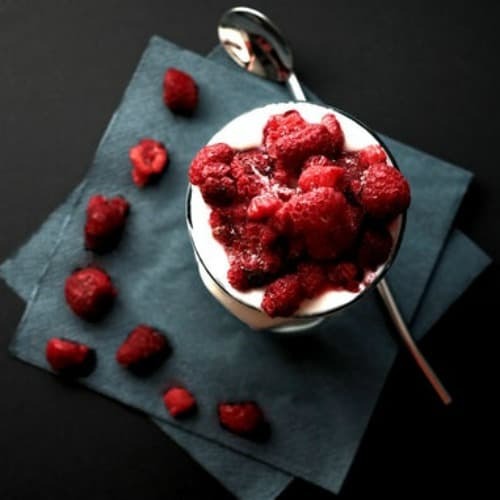 Well, our keto berry ice cream in under 5 minutes is faster and there is zero possibility of ice cream covered walls. That’s a win in my book! The idea of shaking a freezer bag with creamy goodness frightens this girl. I mean, what if after cleaning my kitchen from top to bottom this thing bursts and splatters all over the place? That would not be cool. In fact, that would be really, really upsetting. I am sure freezer bag ice cream is a great concept and people all over are shaking away with glee, but it’s not worth the risk for me. Besides, what about all the ice cream that stays clinging to the bag? That’s just sad. Don’t you agree? Now, what if I told you I discovered how to make a keto ice cream in under 5 minutes that was dairy-free and single-serve? What if I told you it required no fancy equipment and had only three ingredients? Sounds impossible right? Well, I am a believer in the impossible, so that wasn’t a factor in creating this recipe. My keto ice cream in under 5 minutes was probably the fastest recipe I’ve ever come up with. Frankly, it made me feel like a kid working on a science project. Want a peek into my science lab? In order to make my keto berry ice cream, I grabbed my full-fat coconut milk, some frozen blueberries, and a teaspoon of Swerve (it’s an erythritol & stevia combo). I tossed all the ingredients into my cup and began to stir. What happened next took me by surprise, in a happy dance around the kitchen kind of way. I placed it in the freezer and a few minutes later I had a delicious keto ice cream in under 5 minutes! At that point, all I had to do was stir and enjoy. Just like that, I had created an ice cream recipe that was single-serve, churn free, low carb, dairy free, requiring only three ingredients. Can you tell how excited I am to share my quick and easy keto ice cream recipe with you ? I feel it addresses so many needs. 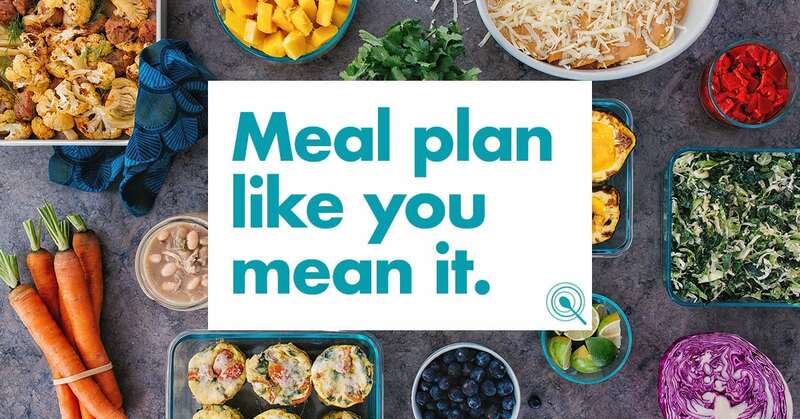 Too often when we start eating a low carb plan we need something to help us transition from our former high carb ways to this now healthier plan. 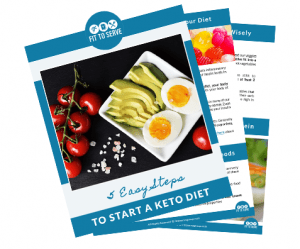 After all, you may just be learning your way around a low carb keto kitchen and what you need is something quick, easy and delicious. This little number will do just that. I really hope you give this recipe a try. If you do can you please share? Let’s leave the ice cream in a freezer bag for the kids to enjoy at grandma’s instead, wink, wink. Have you seen our latest ice cream recipe? It’s actually keto berries and cream popsicle. It’s one you want to also make this summer. Mix all the ingredients and stir. Place in freezer for 4-5 minutes. 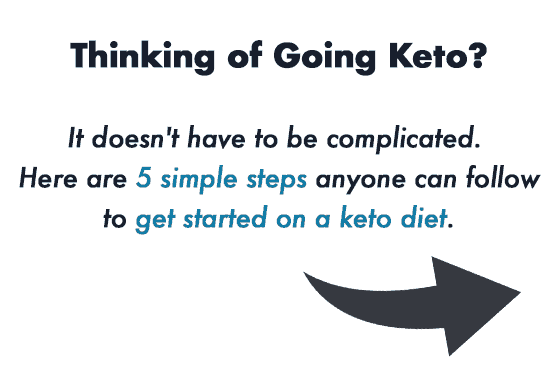 Exogenous ketones allow you to drink your ketones and put you into a state of ketosis in under 59 minutes. Hi Michele! Thanks for stopping by and sharing that you saved my recipe. Let me know what ya think of it. ? I'm really excited, since I know I need to be low carb, love that you gave me an option!!!!! I'll let you know as I'm off to work now- Thanks! Happy for you. Remember that this recipe is dairy free since what is used is coconut milk. I would encourage you to read about soy. It is actually not a good thing to have. In order to stay low carb use frozen berries. Enjoy ? I did use frozen mixed berries! :) I alternate different milks, soy, almond, and coconut- but yes, soy is something I've read mixed reviews- I'll look into it more, thanks! I enjoyed reading your post. I am considering the keto diet and have many recipes saved. I send some to my son as he has already started. I am considering doing keto and Paleo diet combination. Hi Debbie,so happy you’re enjoying thee site. Here to support and encourage you. 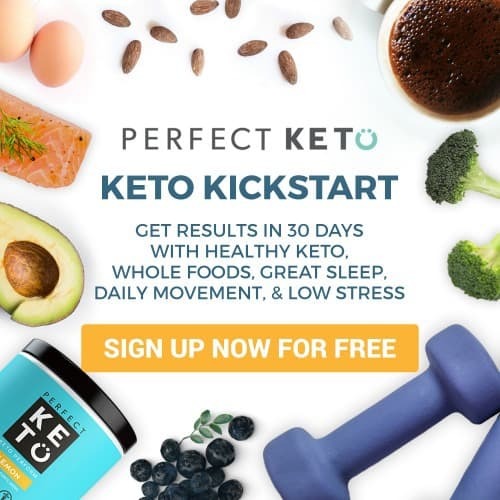 Doing a Paleo keto is very healing,you’re going to love it.